John Holbrook Vance was born August 28, 1916 in San Francisco CA. He worked as a bellhop, in a cannery, and on a gold dredge before attending the University of California, Berkeley, where he studied engineering, physics, and journalism, though he never graduated. A lifelong musician and music lover, Vance’s first published works were jazz reviews for The Daily Californian. Vance worked as an electrician at Pearl Harbor in Hawaii, leaving the area a month before the December 1941 attack that brought the US into WWII. His poor eyesight made it impossible for him to serve in the military, but he memorized an eye chart and joined the Merchant Marine. He wrote his first published story, “The World-Thinker” (1945), while at sea. Before becoming a full-time writer in the 1970s, he worked as a seaman, surveyor, and carpenter, among other occupations. He married Norma Genevieve Ingold in 1946; she died in 2008. Vance traveled the world extensively, living and writing in Tahiti, South Africa, Italy, and Kashmir, among other locales. He published short fiction prolifically in the pulps in the late ’40s and early ’50s, contributing regularly to Startling Stories and Thrilling Wonder Stories. Notable short works include “Telek” (1952), “The Moon Moth” (1961), and Hugo- and Nebula-award winning novella “The Last Castle” (1966). As he sat gazing across the darkening land, memory took Turjan to a night of years before, when the Sage had stood beside him. “In ages gone,” the Sage had said, his eyes fixed on a low star, “a thousand spells were known to sorcery and the wizards effected their wills. Today, as Earth dies, a hundred spells remain to man’s knowledge, and these have come to us through the ancient books … But there is one called Pandelume, who knows all the spells, all the incantations, cantraps, runes, and thaumaturgies that have ever wrenched and molded space .. .” He had fallen silent, lost in his thoughts. “Where is this Pandelume?” Turjan had asked presently. Then the Sage had shown Turjan the spell in question, which he had discovered in an ancient portfolio, and kept secret from all the world. Turjan, remembering this conversation, descended to his study, a long low hall with stone walls and a stone floor deadened by a thick russet rug. The tomes which held Turjan’s sorcery lay on the long table of black steel or were thrust helter-skelter into shelves. These were volumes compiled by many wizards of the past, untidy folios collected by the Sage, leather-bound librams setting forth the syllables of a hundred powerful spells, so cogent that Turjan’s brain could know but four at a time. Turjan closed the book, forcing the spell back into oblivion. He robed himself with a short blue cape, tucked a blade into his belt, fitted the amulet holding Laccodel’s Rune to his wrist. Then he sat down and from a journal chose the spells he would take with him. What dangers he might meet he could not know, so he selected three spells of general application: the Excellent Prismatic Spray, Phandaal’s Mantle of Stealth, and the Spell of the Slow Hour. The night was wearing on. A blue light wavered in the forest. Turjan watched a moment, then at last squared himself and uttered the Call to the Violent Cloud. All was quiet; then came a whisper of movement swelling to the roar of great winds. A wisp of white appeared and waxed to a pillar of boiling black smoke. A voice deep and harsh issued from the turbulence. The cloud whirled down; far up and away he was snatched, flung head over heels into incalculable distance. Four directions was he thrust, then one, and at last a great blow hurled him from the cloud, sprawled him into Embelyon. Turjan gained his feet and tottered a moment, half-dazed. His senses steadied; he looked about him. He stood on the bank of a limpid pool. Blue flowers grew, about his ankles and at his back reared a grove of tall blue-green trees, the leaves blurring on high into mist. Was Embelyon of Earth? The trees were Earth-like, the flowers were of familiar form, the air was of the same texture … But there was an odd lack to this land and it was difficult to determine. Perhaps it came of the horizon’s curious vagueness, perhaps from the blurring quality of the air, lucent and uncertain as water. Most strange, however, was the sky, a mesh of vast ripples and cross-ripples, and these refracted a thousand shafts of colored light, rays which in mid-air wove wondrous laces, rainbow nets, in all the jewel hues. So as Turjan watched, there swept over him beams of claret, topaz, rich violet, radiant green. He now perceived that the colors of the flowers and the trees were but fleeting functions of the sky, for now the flowers were of salmon tint, and the trees a dreaming purple. The flowers deepened to copper, then with a suffusion of crimson, warmed through maroon to scarlet, and the trees had become sea-blue. “The Land None Knows Where,” said Turjan to himself. “Have I been brought high, low, into a pre-existence or into the after-world?” He looked toward the horizon and thought to see a black curtain rising high into the murk, and this curtain encircled the land in all directions. Vance’s Dying Earth stories are also known for their sesquipedalian loquaciousness. 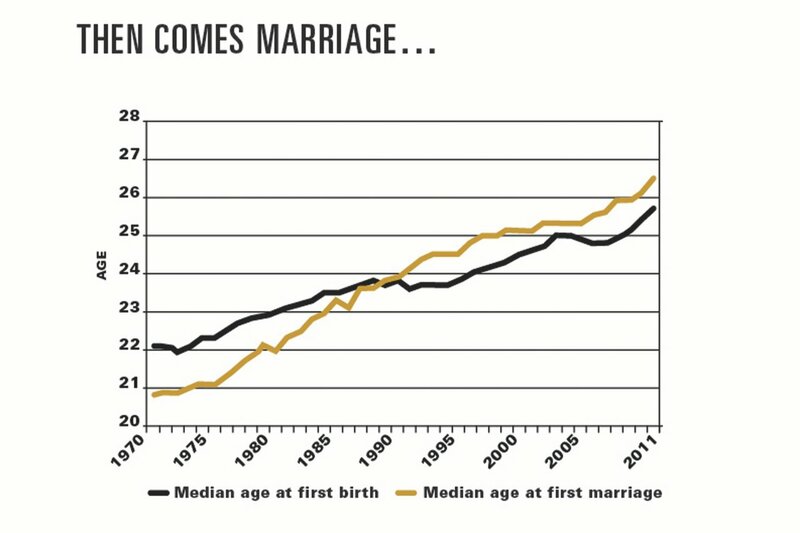 “In some ways the middle class has really cashed in on a form of marriage that we didn’t see much of historically,” says Kathryn Edin of Harvard’s Kennedy School. She calls theirs “superrelationships,” with high levels of rapport and satisfaction—not to mention income. 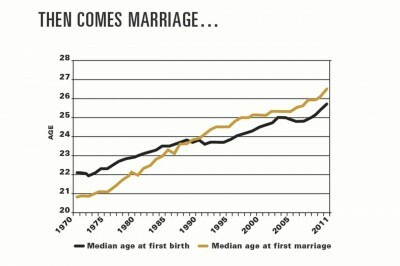 The divorce rate for these relationships has plunged to levels not seen since the 1960s, and it may decline further. But there’s a big potential fly in the ointment: not all of these people are getting established quickly enough to have all of the children they want. A 2011 survey showed that almost half of female scientists—and a quarter of the men—reported that their career had kept them from having as many children as they wished. Contrary to [German Admiral Erich] Raeder’s expectations, neither America’s military leaders nor the President altered the Europe-first cornerstone of the Victory Program. “That’s because it was sound strategy,” says General Wedemeyer, who went on to plan Operation Overlord, better known as D-day. But for a few weeks the big leak developed yet a third life in Germany. The German army — as distinct from the Führer — greeted the Tribune ’s revelations as a gift from on high. Its offensive against Moscow and Leningrad was faltering in the freezing Russian winter. The generals seized on the Roosevelt war plan to reinforce a suggestion they had already made to Hitler: to pull back to carefully selected defensive positions and give them time to regroup and reinforce their decimated divisions. In his book Inside Hitler’s Headquarters , Col. Walter Warlimont, the deputy chief of the general staff, revealed how little information the generals had on the United States, which made Rainbow Five all the more important to them. He told of receiving a phone call from Jodl in Berlin on December 11, 1941. Much of the British spy story is fabrication, but it suggests, in a murky way, who may have engineered the leak. ‘You have heard that the Führer has just declared war on America?’ Jodl asked. ‘Yes and we couldn’t be more surprised,’ Warlimont replied. Admiral Raeder and Reich Marshal Göring joined in this recommendation in the most emphatic fashion. They told Hitler that in 1942 Germany and Italy would have “their last opportunity to seize and hold control of the whole Mediterranean area and of the Near and Middle East.” It was an opportunity that “will probably never come again.” To everyone’s delight Hitler agreed to these proposals. On December 16 the German Army’s supreme command issued Directive No. 39, calling for the cessation of offensive operations against Russia and a withdrawal to a winter line. Between the time he approved these orders and their release by the supreme command, Hitler had returned to the Russian front, where he was astonished and enraged to find his armies reeling back under assaults from Russian armies whose existence his intelligence officers had failed to detect. When Directive No. 39 reached him, he flew into a rage and summoned Col. Gen. Franz Halder, the chief of staff of the German Army, and Field Marshal Walther von Brauchitsch, the commander in chief, and hysterically berated them. He declared that a “general withdrawal is out of the question” and insisted that Leningrad, Moscow, and the Don Basin had to be included in any permanent defensive line. On December 19 he fired Brauchitsch and took over command of the army. If Hitler had stuck with his original decision and acted to frustrate the objectives of the Victory Program, he could have freed a hundred divisions from the eastern front for a Mediterranean offensive. Against this force the Allies, including the Americans, could not have mustered more than twenty divisions. Germany’s best general, Erwin Rommel, was already in Egypt, demonstrating with a relatively puny force what he could accomplish against the British and Australians. There is little doubt that Hitler could have turned the Mediterranean into a German lake and frustrated the Allied plan to seize Africa and attack Europe from the south. The catastrophic German defeat at Stalingrad would never have occurred, and the Allied attempt to invade Europe at any point, particularly across the English Channel, would have been much more costly. In 1955 the historian and former intelligence officer Cap. Tracy B. Kittredge reviewed these probabilities in an article in Proceedings of the U.S. Naval Institute . From the evidence he presented one can conclude that the leak of Rainbow Five almost lost World War II. This may be overstating the case. But captured documents make it clear that some of the best brains in the German army and navy tried to use the information to alter the course of the war and that only Hitler’s stubborn fury thwarted them. Yes, that’s a meter maid ticketing burned-out cars. 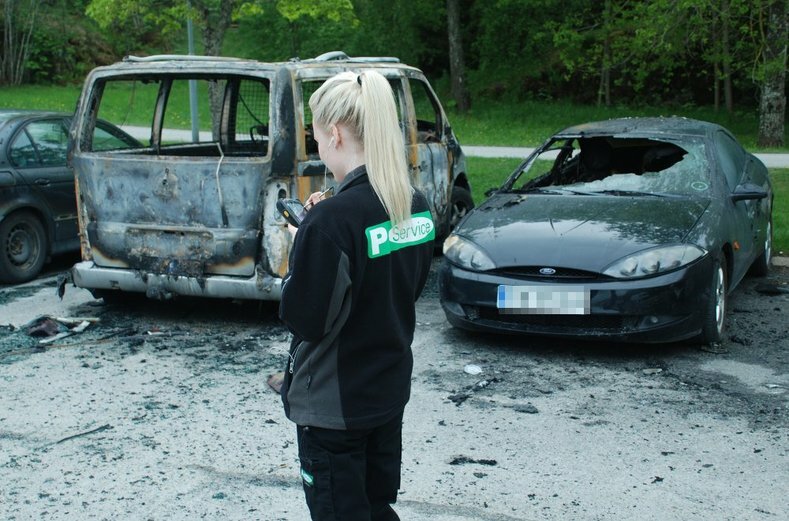 Vigilante patrols to prevent such vandalism have also led to arrests — of the vigilantes, of course. Have you ever read Hitler’s declaration of war against the US? A commenter at Foseti’s asked that, and I immediately realized how odd it is that we don’t read any such primary sources in school. It is a fact that the two historical conflicts between Germany and the United States were stimulated by two Americans, that is, by Presidents Woodrow Wilson and Franklin Roosevelt, although each was inspired by the same forces. History itself has rendered its verdict on Wilson. His name will always be associated with the most base betrayal in history of a pledge [notably, Wilson's "14 points"]. The result was the ruin of national life, not only in the so-called vanquished countries, but among the victors as well. Because of this broken pledge, which alone made possible the imposed Treaty of Versailles , countries were torn apart, cultures were destroyed and the economic life of all was ruined. Today we know that a group of self-serving financiers stood behind Wilson. They used this paralytic professor to lead America into a war from which they hoped to profit. The German nation once believed this man, and had to pay for this trust with political and economic ruin. The list of grievances goes on and on. 1) Totally destroying Germany and Japan (he was the first to public state the demand for unconditional surrender). I’ve read that he seems to have even considered breaking Germany back up into principalities. 2) Ending European colonialism as quickly as possible. Both of these aims were, retrospectively, terrible. The first served to make the Soviets the (by far) most dominant power in Europe and Asia. It left the US alone to provide any meaningful resistance in both theaters. The second enticed the Soviets to further expand into the third world and has led to disastrous results which continue into modern times (Egypt, for example, is still struggling for stability and has rarely if ever been a better place to live following the end of colonialism — the list of course is much longer — think of all the subsequent bloodshed in the Middle East or India and Pakistan). He certainly seems to have wanted war with Japan, commenter Red notes, citing the fact that Admiral James O. Richardson, Commander in Chief, Pacific Fleet, was relieved of command in February 1941 for protesting their redeployment to Pearl Harbor, which he felt was vulnerable to a surprise attack. Why didn’t the US attack Japan through the North Pacific? American Caesar or Worst General Ever? An entire field of education research aims to assess whether students are better off at charter schools than in the public system. The latest findings, based on six well-regarded charter schools in Boston, released Wednesday by the Boston Foundation and MIT’s School Effectiveness and Inequality Initiative, adds to the accumulating evidence that at least a subset of high-performing charters are measuring up to the movement’s early aspirations of giving disadvantaged kids a shot at a better life. The study shows that the Boston schools’ students did better on SAT and Advanced Placement tests and are vastly more likely to enroll at four year colleges — and to do so on scholarship — than otherwise identical students in the Boston public school system. Numerous studies have used this lottery method to analyze the impact of charter schools on standardized test scores, and by and large they report similar findings: Charters in rural or suburban areas don’t do any better than public schools, while in urban areas they are associated with greater test score improvements in math and language. But another important point from past studies is that there is enormous variation in the effectiveness of charter schools. There are some great ones but also some real duds. The study examines the college readiness of Boston public school students who applied to attend the six charter schools between 2002 and 2008, with projected graduation dates of 2006–2013. In just about every dimension that affects post-secondary education, students who got high lottery numbers (and hence were much more likely to enroll in a charter school) outperformed those assigned lower lottery numbers. Getting into a charter school doubled the likelihood of enrolling in Advanced Placement classes (the effects are much bigger for math and science than for English) and also doubled the chances that a student will score high enough on standardized tests to be eligible for state-financed college scholarships. While charter school students aren’t more likely to take the SAT, the ones who do perform better, mainly due to higher math scores. The secret of many charter schools’ success isn’t a mystery: longer hours and additional school days, which are part of a “no excuses” philosophy that emphasizes frequent testing and often requires even longer days from charter school teachers. When public schools integrate these elements — as in a pilot project run by Harvard economist Roland Fryer in Houston, early evidence suggests those schools are seeing the same gains as high-performing charters. I’m always amazed by how little innovation we see in education — not just how little effective innovation, but how little anyone diverges from the accepted public-school model. As expected, people with higher IQ scores were faster at catching the movement of the bars when observing the smallest image. The results support prior research showing that individuals with higher IQs make simple perceptual judgments swifter and have faster reflexes. “Being ‘quick witted’ and ‘quick on the draw’ generally go hand in hand,” says Melnick. But the tables turned when presented with the larger images. The higher a person’s IQ, the slower they were at detecting movement. “From previous research, we expected that all participants would be worse at detecting the movement of large images, but high IQ individuals were much, much worse,” says Melnick. That counter-intuitive inability to perceive large moving images is a perceptual marker for the brain’s ability to suppress background motion, the authors explain. In most scenarios, background movement is less important than small moving objects in the foreground. Think about driving in a car, walking down a hall, or even just moving your eyes across the room. The background is constantly in motion. So the group tried to disprove the findings from the initial 12-participant study conducted while Tadin was at Vanderbilt University working with co-author Sohee Park, a professor of psychology. They reran the experiment at the University of Rochester on a new cohort of 53 subjects, administering the full IQ test instead of an abbreviated version and the results were even stronger; correlation rose to 71 percent. The authors also tested for other possible explanations for their findings. For example, did the surprising link to IQ simply reflect a person’s willful decision to focus on small moving images? To rule out the effect of attention, the second round of experiments randomly ordered the different image sizes and tested other types of large images that have been shown not to elicit suppression. High IQ individuals continued to be quicker on all tasks, except the ones that isolated motion suppression. The authors concluded that high IQ is associated with automatic filtering of background motion. The original article includes videos. “Heart disease comes from inflammation and if you’re constantly, chronically inflaming yourself, never letting your body heal, why wouldn’t there be a relationship between over exercise and heart disease?” said John Mandrola, a cardiac electrophysiologist and columnist for TheHeart.org. Yet sports-medicine specialists are sharply divided over whether any warning is warranted. For every American who exercises to extremes, after all, there are thousands who don’t exercise at all — and who might embrace any exercise-related warnings as cause for staying sedentary. That second paragraph reminds me why one-size-fits-all public health recommendations are so… bad. We can’t tell the truth, because some people might misunderstand it. Perhaps we need a more Straussian approach to public health. Eric’s father had served in the Royal Flying Corps during the Great War and, along with all former RFC pilots, received an invitation from the newly formed German Luftwaffe to visit the 1936 Olympics. A promising scholar at Edinburgh’s Royal High School, Eric had recently lost his mother, so his father decided to take the boy to Germany to see the Games. Among those hosting the RFC delegation was the charismatic Great War ace Ernst Udet, who had become a famous stunt pilot. He took up Eric for a spin — ‘Terrifying stuff’ — and the teenager was hooked. Eric went on to Edinburgh University, where he studied German and joined the university’s air squadron. During a student trip to Germany, he wrote to Udet, by then a senior Luftwaffe general, who invited Eric into his social circle. The wide-eyed student was introduced to some of the leading lights of the Luftwaffe — including their formidable test pilot and world gliding champion Hanna Reitsch — having no inkling that, within a couple of years, they would be his sworn enemy. ‘Udet was like a schoolboy who regarded the whole world as a friend,’ says Eric. ‘He had these riotous evenings at his flat in Berlin. One of his party tricks was a shooting game where you had to fire a pistol at a target behind you, using a mirror. It made a mess of the wall, but he was very good at it. In 1939, having recently arrived in Germany on a teaching exchange, Eric received a knock on the door one morning. ‘Our countries are at war,’ said an SS officer, before taking away Eric for interrogation. Fearing the worst, he was pleasantly surprised to be dumped at the Swiss border, from where he made his way home as fast as possible to sign up with the RAF. Like all young pilots, Eric was itching to get airborne and was frustrated by the lack of RAF planes and postings. But there were plenty of vacancies for pilots in the Royal Navy following the loss of the aircraft carrier, HMS Courageous, with more than 500 men, in the opening weeks of the war. So Eric transferred to the Fleet Air Arm — where he was nicknamed ‘Winkle’ — and retrained as a naval pilot. Before long he was on HMS Audacity, an aircraft carrier escorting vital convoys between Britain and Gibraltar. I recently rewatched Zulu Dawn, a movie I vividly remembered from my childhood — only it turns out I didn’t vividly remember anything before the climax, which depicts the Brits’ crushing defeat at the Battle of Isandlwana. The British, as always, are depicted as bumbling, which, in this case, is pretty well justified. The British commander, Lord Chelmsford, refuses to circle the wagons — into a Boer-style laager — or to prepare entrenchments of any sort — when facing a potentially enormous army wielding spears and clubs, where a simple palisade could become a serious force-multiplier. I’ve always heard the famed Zulu spear referred to as an assegai, by the way, but that’s not a Zulu term. Assegai is a Berber word for spear, which somehow became the English word for any African spear. Shaka’s innovative short-hafted spear with a sword-like blade, designed for close combat, was dubbed the iklwa — a grisly bit of onomatopoeia for the sound it made when pulled from a victim. 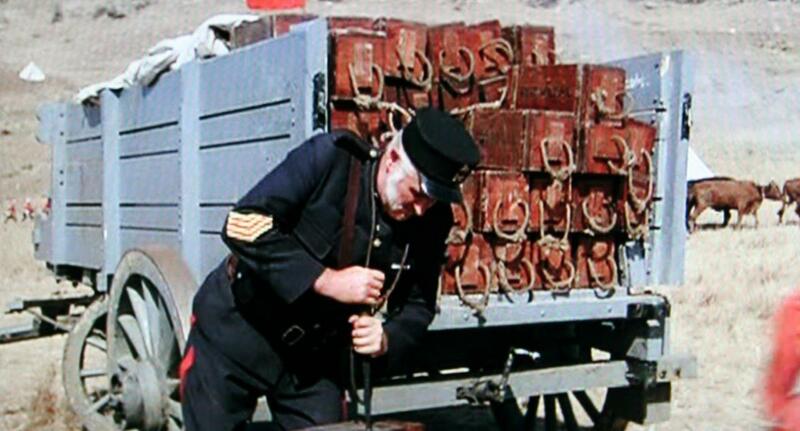 The film depicts the British soldiers running out of ammunition and has the old stickler of a quartermaster doling out boxes of ammo by the book, one at a time, to soldiers who have waited in a proper queue, which doesn’t seem to have happened in real life. In action Musketry Fire is the main element. It cannot be left to individual initiation without its degenerating into a useless expenditure of ammunition. Experience in later wars bears out the widsom that most rifle fire is a useless expenditure of ammunition. In both World Wars, tens of thousands of rounds were fired per casualty inflicted. That’s why our modern troops shoot a glorified .22. The optimum rates quoted in the manual were only desirable during the last stages of a determined attack, when it was necessary to break up a charge before it struck home. When firing at longer ranges, a slower rate of fire was distinctly preferable. At Gingindlovu — where the fire was less disciplined and therefore more rapid than at Isandlwana — Captain Hutton observed that ‘the average number of rounds fired per man was rather under seven; that of the marines next to me was sixteen’. In his autobiography, Evelyn Wood noted that at Khambula — a battle where the intensity of the Zulu attack arguably matched that at Isandlwana — ‘the Line Battalions were very steady, expending in four hours an average of 33 rounds per man’. (7) At Ulundi, the average was 10 rounds expended in half an hour. Colonel C.E. Callwell, in his wide-ranging review of colonial warfare first published in 1896, provides a number of examples of rates of fire with Martini-Henry rifles from outside the Zulu campaign. At the battle of Charasia, in the 2nd Afghan War, ‘the 72nd fired 30 rounds a man, being heavily engaged for some hours’. (8) At Ahmed Khel it was only 10 rounds per man, while at El Teb and Tamai in the Sudan — both battles in which the enemy launched extremely determined attacks — ‘the troops most committed fired about 50 rounds a man’. By contrast, French troops at the battle of Achupa in Dahomey fired about 80 rounds a man in two hours, using a magazine rifle with a much faster rate of fire — a statistic that Callwell considered ‘remarkable’. These steady rates of fire were the product of the deliberate policy encouraged by official training manuals, where slow fire was regarded as effective fire. At Ulundi, the war correspondent Melton Prior noted with some disdain that Lord Chelmsford met a particularly determined Zulu attack with the order ‘Men, fire faster; can’t you fire faster?’ and contrasted this with Sir Garnet Wolseley’s maxim ‘fire slow, fire slow’. (9) The measured volleys of the 24th at Isandlwana can be compared favourably to the experience of Private Williams of the 1/24th, Col. Glyn’s groom. Williams was in the camp at Isandlwana as the Zulu attack developed, and together with several officers’ servants, began to fire from the edge of the tent area at the distant Zulus. This was independent fire, with no one to direct it, and Williams noted that ‘we fired 40 to 50 rounds each when the Native Contingent fell back on the camp and one of their officers pointed out to me that the enemy were entering the right of the camp. We then went to the right … and fired away the remainder of our ammunition’. (10) Note, however, that even under these conditions, Williams’ 70 rounds lasted him throughout most of the battle. Before leaving the question of the effectiveness of Martini-Henry fire at Isandlwana, it is worth noting that Smith-Dorrien’s comment that the 24th were ‘making every round tell’ should be taken as a tribute to their reliability rather than at face value. This is particularly important, because an unrealistic assessment of the potential destructiveness of rifles on the battlefield can distort our reading of events. Clearly, if the 24th did indeed hit their targets with every shot, the 600-odd men of the 24th in the firing line would have killed the entire Zulu army in 34 volleys! In battles across history — the more so in recent times, with modern rapid-fire weapons — the ratio of shots to hits is always high. The level of accuracy expected on the firing range was not attainable in the field, where even the strongest nerves could be unsettled by the tension of battle, and where the enemy was not only a moving target, but firing back. At Isandlwana, the Zulu attack was carried out in open order, making good use of the ground, and the warriors only drew together during the final rush. When caught in the open, the 24th’s volleys were devastatingly effective, but the Zulus naturally sought to avoid this situation. It is no coincidence that the attack of the Zulu centre stalled when it reached the protection of the dongas at the foot of the iNyoni ridge. Having found cover under heavy fire at close range, the warriors found it difficult to regain the impetus of their attack, and mount an assault up an open slope into the teeth of the 24th’s fire. It has been estimated that at long ranges (700–1400 yards) volley fire was no more than 2 % effective. At medium range (300–700 yards) it might rise to 5% effectiveness, and at close range (100–300 yards) 15% effectiveness. (11) Given the amount of smoke produced by close-range fighting in any battle, and the effects of adrenaline generated by the proximity of the enemy, even that figure might be optimistic. It’s interesting to note that at Gingindlovu, if Hutton’s estimate of the number of rounds fired by the 60th Rifles is correct, then 540 men fired over 5000 rounds; he noted afterwards the just 61 dead were found within 500 yards of their line, in the most destructive fire-zone. Although more undoubtedly fell at longer ranges, and an incalculable number were wounded — several times the number killed — this figure suggests a ratio of 80 shots to kill one Zulu. At Khambula, using Wood’s figure as a basis, some 1200 infantry fired nearly 40,000 rounds of ammunition, killing up to 2000 Zulus — a rather better ratio of 20:1, reflecting the greater experience of the battalions involved. In both cases, numbers of the enemy were killed by artillery fire, and many more in the pursuit, so the proportion of kills attributed to the infantry should be further adjusted downward. Taking the war as a whole, it probably took between 30 and 40 shots on average to kill one Zulu, although a number of those shots might have inflicted wounds and incapacitated the victims. but that today this man and his work — for which I do not think “prophetic” is too strong a word at all — have been almost entirely forgotten, except that a few academics (or what passes for academics these days) still bring him up from time to time to remind us how wrong and evil he must have been? So we walked up the sloping back side, among sagelike flowering bushes watered by the snowmelt from a few late drifts. Snow-crested mountains soared all about and the sun reflected off the glaciers like so many mirrors. We summited, then found a way down on the east side of the face, skiing in our boots through steeply sloping scree fields that led eventually into decorative and absurdly ornate fields of wildflowers. There were yellow buttercups and purple and white flowers I couldn’t identify, interspersed in various swirling patterns. I saw there the elements of complex design so appealing in Persian rugs or in the tile work of various mosques. It was still several miles across a vast marshy meadow to camp, and when we dropped over the lip of an undulating swale, six or seven huge shaggy dogs, each weighing in excess of 100 pounds, surrounded us. There were a lot of teeth in evidence, and perhaps a thousand sheep and goats grazing nearby. A shepherd shouted a command and the dogs dispersed, grumbling among themselves. Many of them, I noticed now, were pretty banged-up. They walked with an assortment of limps. The dogs were a kind of sag gorg, a wolf dog, and some wore thick leather collars with metal studs on them, because wolves always go for the neck in a fight. “How many times a year do they fight the wolves?” I asked. “Five or six times a night,” the shepherd said. It seemed an implausible number to me, but then again, it did explain why half the dogs were limping. His main lesson learned: Iranians throw trash everywhere — which is the same lesson you learn in India, etc.